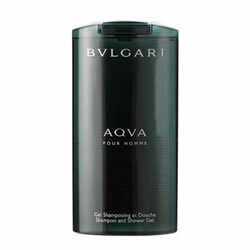 Bvlgari Aqua Pour Homme Shampoo and Shower Gel is invigorating and sensual, gently cleansing from head to toe. Bvlgari Aqua Pour Homme is a stunning fragrance from Bvlgari released in 2005. Bvlgari Aqua is a fresh, aromatic and very chic fragrance and has an essence that conjures up the scent of the sea and the aromatic elements of Mediterranean orange orchards.